1. Arriving trip: The bus departs from Xinmin Senior High School, en route to Taichung Train Station and terminates at Yuandong Street. 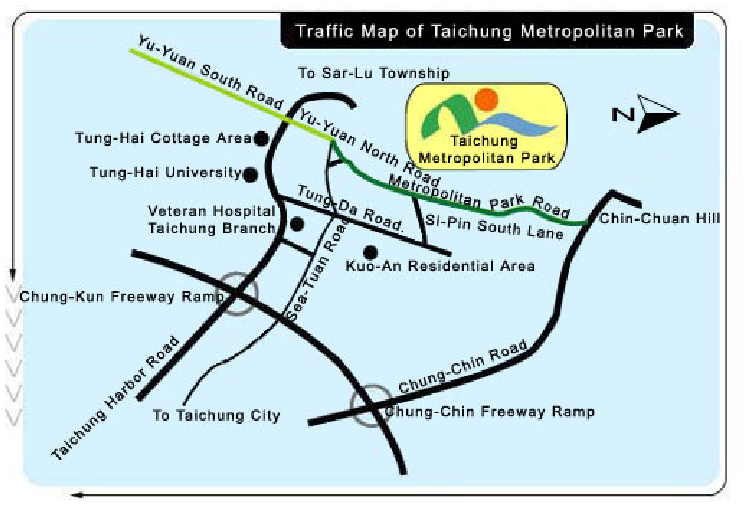 Visitors may ask the bus driver to stop at Taichung Metropolitan Park when getting on the bus. 2. Return trip: Following a fixed bus schedule, a bus departs from Taichung Metropolitan Park every hour between 9:20 a.m. and 17:25 p.m.
For details, please contact Taichung Bus by calling 04-2652-4620.